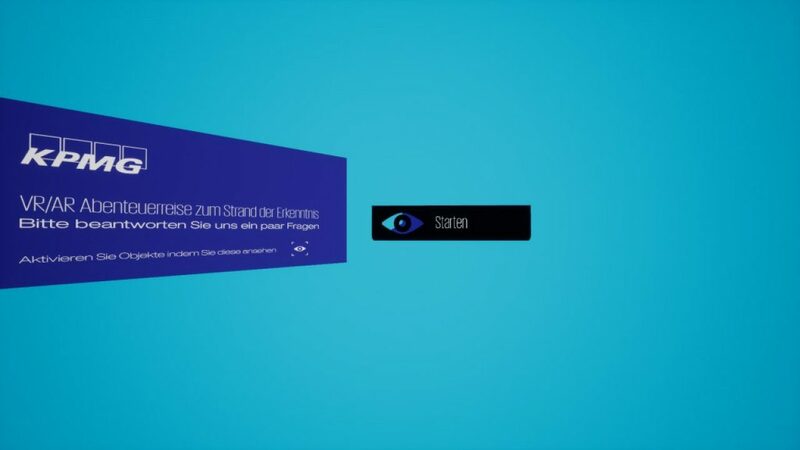 In commission of KPMG AG, a Mobile VR application based on Google Cardboard was developed for CeBit 2017 and exhibited at the information technology trade fair from 20 March 2017 to 24 March 2017. 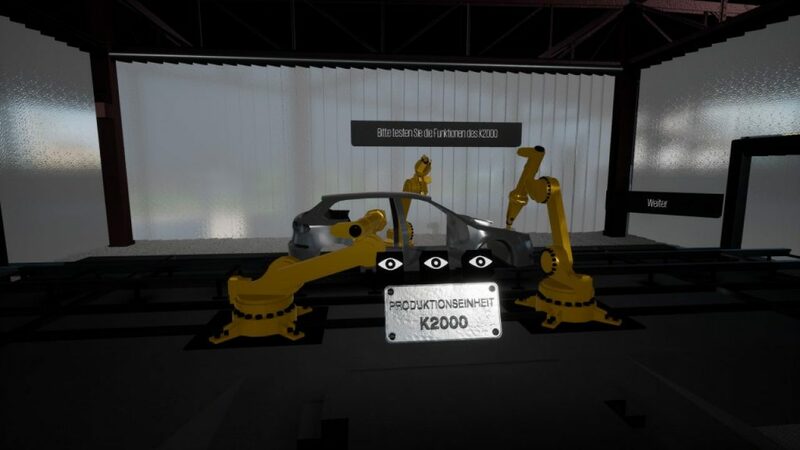 The goal of the app was to give visitors an impression of how virtual and augmented reality could influence and accompany the future world of work. 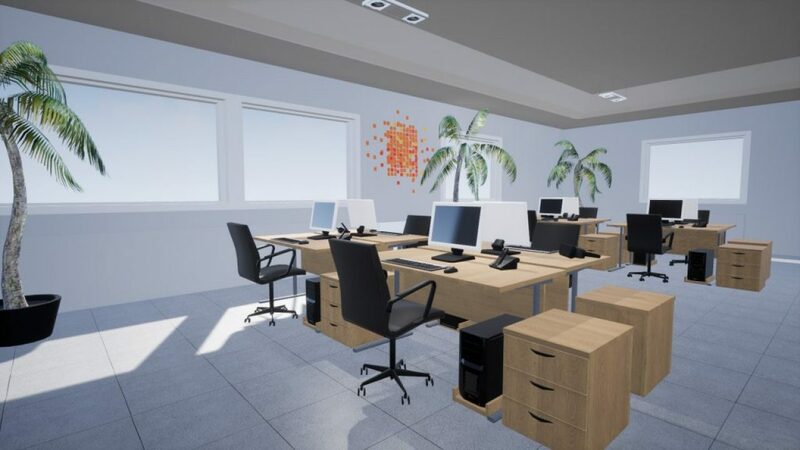 The project was developed with Unreal Engine 4. The user experiences several different scenes in which he is involved into various future applications of VR & AR. 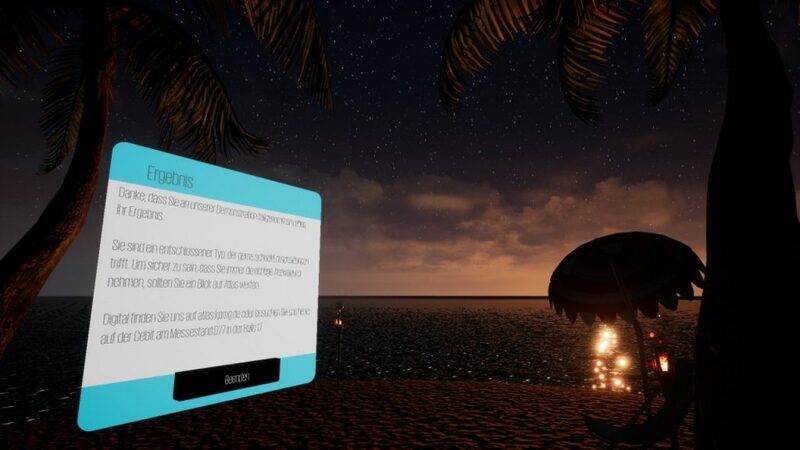 These range from a virtual conference, the hologram presentation of a new car design, the simulation of work processes and a virtual vacation at the end. The scene transitions are accompanied by smaller questionnaires on the topic. The desired hardware specification did not provide any motion control possibilities, therefore the interactions were implemented using gaze tracking, i.e. the user performs actions by focusing interaction objects for a longer period of time. The interaction process is accompanied by a 3D user interface.